With the rising demand in rental market, Fort Worth property managers can expect higher rent rates for this coming year. Visit our website to know more. Specialized Property Management, a residential rental management firm, has been named as a certified partner of Roofstock, the leading online marketplace for buying and selling single-family rental homes. 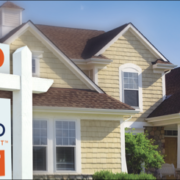 Once an investor purchases a Roofstock home, vetted local property management partners like Specialized care for the property throughout the rental lifecycle to create a worry-free investing experience. This enables buyers to cashflow their investments more quickly, while avoiding the cost and hassle of researching and purchasing homes sight unseen. It also allows them to take advantage of nationwide investment opportunities outside of their local area. Specialized Property Management is one of the largest and fastest growing real estate management providers with an active ongoing acquisition strategy. The firm provides complete residential property management for homeowners, investors, and institutional funds, including comprehensive leasing, marketing, screening, maintenance, collections, compliance, and rental accounting services. Its rigorous management protocol is supported by an experienced team and a proprietary technology platform that is pioneering new levels of data-driven performance for single family rental management and investing. For more information, visit Specialized247.com and Roofstock.com. Regular seasonal inspections allow your property management in Fort Worth to take care of property needs that come with seasonal changes. Make sure the home’s furnace is working properly and change filters before the temperature gets cold. Clean out vents and air intake ducts. Check landscape clean-up needs along with winterizing sprinkler systems and hoses. Fall maintenance keeps rentals well maintained. “ Managers tend to put off preventative maintenance because it isn’t demanding immediate attention like an emergency repair does,” says Mendoza. But, making preventative maintenance a priority for property management in Fort Worth will save owners time and money in the long run. June 1, 2016, Fort Worth, TX— Specialized Specialized Property Management encourages landlords to review Texas state regulations and statutes to better understand tenant rights and to ensure they manage their rental units ethically. Fair and ethical housing practices have been a hot topic with concerns about immigration and terrorist threats. Now landlords need to also consider tenant rights in regards to the LGBT community. Tenants have rights to basic housing needs being met by landlords. “Knowing the laws helps you avoid breaking the laws, especially in Fort Worth property management,” advises Stephanie Mendoza, Director of Operations at Specialized Specialized Property Management. Breaking rental laws means fines and penalties for landlords. Landlords do have resources to go to for clarification and guidelines to understand what specific rights tenants have. Property managers in Fort Worth, TX are also required to understand and follow Fair Housing rules to avoid discriminatory management practices. “We live in a changing world, and landlords need to stay current on any Fair Housing rule changes,” said Mendoza. “Texas currently doesn’t have specific laws in regard to fair housing and the LGBT community, but that could always change.” Current regulations certainly apply to all groups of people and should be carefully followed. May 1, 2016, Dallas, TX—Property managers in Fort Worth, TX, are watching the current housing trends in the Dallas-Fort Worth area as the housing supply is showing less than the current demand. People wanting to buy homes are finding that houses on the market are going for more money than the listed price and multiple contract offers are on the table at once. Housing prices are on a steady rise as land and construction costs have had sharp increases. Property investors offering single family rental houses to residents may see fewer vacancy days as more potential tenants look for comfortable homes during the upcoming busy real estate season. With interest rates staying low for now, this could also be a good time to look at purchasing investment property. Housing prices are predicted to continue to rise. Prices of Dallas/Fort Worth area homes have increased 8.7 percent from 2014 prices, according to a Standard & Poor’s/Case Shiller Home Price Index. Getting into the market before more increases can be a good option for some. The expert property managers at Specialized can help investment property owners be successful in their investment if they choose to add to their property portfolios. “At Specialized, our goal is that property owners make the most from their investment and that tenants feel at home in their neighborhoods, in any housing market,” said Mendoza. April 1, 2016 Fort Worth, TX,– Specialized Property Management is looking at 2016 as a hot year for the rental market. With 11,000 people moving to North Texas every month, the supply for rental units cannot always keep up with the demand. With this rising demand, Fort Worth property managers can expect higher rent rates for this coming year. “The rental market is really hot right now,” said Russell Berry, President of the MetroTex Association of Realtors. “Month after month, the places that do have rentals, the prices have been skyrocketing.” A rising demand for rental housing gives Fort Worth property managers the opportunity to fill rental properties quickly and ask higher rent rates. Here are a few ideas for property management in Fort Worth, TX that will help shorten vacancy days for your rental property. Specialized is the expert in property management in Fort Worth, TX. They provide all management services for single family rental units and small multiplex units. “With a booming rental market in Fort Worth, Specialized will make sure your rental property investment is professionally managed, and is a profitable venture for the rental property investor,” said Mike Jeppson, Specialized Chief Operating Officer. For more information about rental property management from the industry leader, contact Specialized. Find more information at (www.specializedfortworth.com). April 1, 2016, Fort Worth TX– Specialized Specialized Property Management gives Fort Worth property managers spring maintenance ideas. These tips help managers keep properties in compliance with rental codes, and helps landlords maintain the value of their properties. Make sure that air conditioning systems are ready for the coming warm weather. Filters need to be replaced, ventilation systems checked, and any build up on fans and forced airways cleaned out. Completely inspecting the inside and outside of the property lets you see what repairs are needed. Smoke and other detectors should have fresh batteries installed. Pruning trees and shrubs along with seasonal lawn care will keep the curb appearance of the property. “Many of our clients aren’t able to keep up with all the details of managing their property,” says Jeppson. “Specialized offers full service property management in Fort Worth, TX and keeps the little details from hurting your cashflow.” Taking care of all the details involved in the rental process with seasonal inspections allows for a better renting experience for both landlord and tenant. Specialized offers expert property management in Fort Worth, TX that covers all leasing services, including advertising, leasing, maintenance, rent collect. For a comprehensive list of all services offered visit (www.specializedrpm.com). With their proven process, vacancy days are shortened and your property is a profitable investment. ARLINGTON, TX – Boasting one of the safest areas in the state, Arlington is showing steady growth in home prices over the last several months. Additionally, as prices are starting to rise, there is solid inventory growth within the Arlington market showing that even though prices are going up slightly, demand is still high and steadily growing. As the Dallas market continues to thrive, Arlington and the surrounding areas are enjoying the benefits of that market growth and will continue to see benefit as the influence from the Dallas market expands. In addition to inventory and value increasing, real estate investors are seeing a healthy return on their investments when they buy property in Arlington. With low barrier to entry and the potential to ride a long wave of continued growth, Arlington is a perfect place for real estate investors to purchase property. Better still, for novice investors, it’s a great place to get started. Just don’t go it alone, says Shearer. FT. WORTH, TX – Since March of this year, the real estate market in Fort Worth continues to see steady growth. Home values have continued to rise and September shows the highest levels of home values since January of this year. On the flip side, however, homes are listed longer in Fort Worth—almost 14% longer than they have been over previous months suggesting that while home values are growing, there is less demand in the market for real estate. In addition to the slow, but steady growth in home values, Fort Worth continues to be significantly cheaper, overall, than nearby Dallas and other communities. Even with the big city feel and the growing market, savvy home buyers and rental property owners are snatching up houses left and right to make the most out of this current market. Real estate in Fort Worth continues to be a good investment for buyers and investors alike. There is inventory, it’s relatively inexpensive and the potential return is high and climbing.